An improper fraction is any fraction in which the numerator, or top number, is bigger than the denominator, or bottom number - 3/2, for example. To write an improper fraction as a whole number means to write the improper fraction as a mixed number, which is a combination of a whole number and a proper fraction, such as 1 2/3. It's not hard to learn how to convert an improper fraction into a mixed number. Find the whole number. 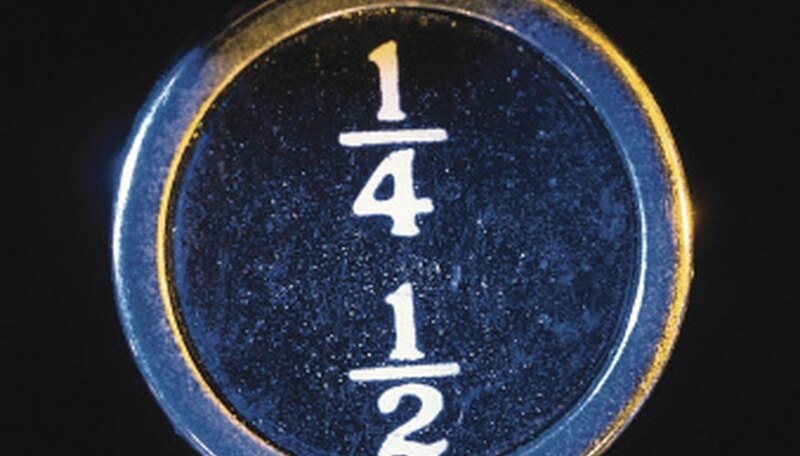 Divide the top number by the bottom number, but use long division only, not a calculator, because calculators give decimals and you need a remainder (which can be found through long division). If you don't know how to do long division, ask yourself the question, "how many times does the bottom number fit into the top number, without going over?" If your improper fraction is 3/2, 2 goes into 3 once without going over, because 2 X 1 = 2 but 2 X 2 = 4. So for 3/2, the whole number is 1. Find the remainder. Do this by multiplying the bottom number by the number of times it fit into the top number and subtracting that number from the top number. The remainder for 3/2 is 1, because 2 X 1 = 2 and 3 - 2 = 1. Write the new mixed number. Write the whole number, then write the remainder as the top number of a new fraction next to the whole number. Use the bottom number from the original improper fraction as the bottom number for the new fraction in your mixed number. For 3/2, the final mixed number is 1 1/2. Indianapolis native Meghan Smith has been writing since 2005. Her feature articles have appeared in “The Campus Citizen” newspaper and the “Advances” newsletter. Smith is completing a Bachelor of Arts in English from Indiana University-Purdue University Indianapolis (IUPUI). Smith, Meghan. "How to Write an Improper Fraction As a Whole Number." Sciencing, https://sciencing.com/write-improper-fraction-whole-number-8660354.html. 25 April 2017.